A good few decades ago, I’m having time off work; my more attuned friends describe it as ‘having a rest from his mind’. Friends have come to visit. Some kind of coincidence, the four of them – all psychologists – sitting around the table on the back veranda. I’m wearing the top half of a pair of pyjamas, a Sulu (Fijian garment) and slippers. I’m doped to the eyeballs – diaze-something, a blobby sponge soaking up everything and feeling nothing. The overwhelming memory is of these four psychologists, having a quiet glass of wine in the late afternoon, looking at me with this kindly detachment, a bit like a vet examining an old dog whose time has come. Apparently it’s Mental Health Month in New South Wales – a bit of an improvement on raising the issue for a week, like elsewhere, then forgetting about it for the rest of the year. NSW Mental Health Commissioner John Feneley was making a case in a Sydney Morning Herald column on Monday asking people to think about people with serious mental health disorders – schizophrenia, bipolar disorder and unrelenting forms of depression – and try to get over the instinct to avert our eyes. One in five Australians suffer from some form of mental health disease – be it one of the basket of ailments usually described as neurosis (depression, anxiety, OCD, phobias) or long-term psychotic disorders like schizophrenia. So let’s talk about neurosis and remember we’re talking about a sliding scale here. When it comes to dealing with what my mother’s generation called ‘an attack of the nerves’, most of us take the medication the GP gave us and lie down until the feeling passes. Not going to work really helps. Once you understand the nature of a panic attack and no longer feel you are going to die on the spot, a brown paper bag is a handy accessory. Some decide they need to talk to someone about the root cause, so flick through the yellow pages looking for a registered psychologist. It shouldn’t be hard – there are 32,766 registered psychologists in Australia. There are many more whose expertise is not endorsed by the Psychology Board of Australia so they hang out the ‘counsellor’ sign. 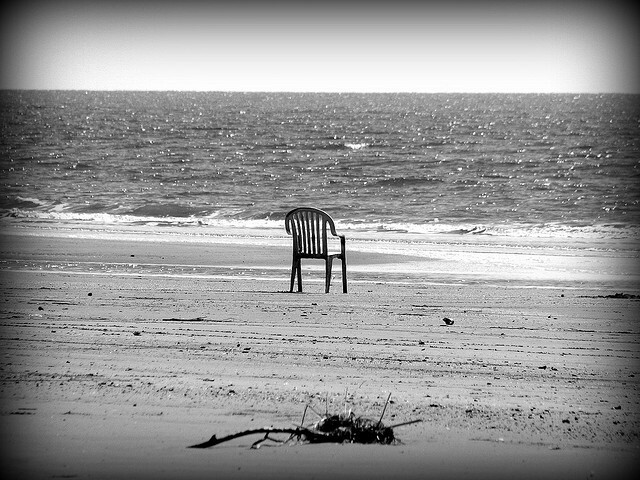 I have had a few fruitful adventures with counsellors of one kind or another – talking to the empty chair, picking up the heavy rock (and putting it down again). Psychologists know which buttons to press. Whenever I get up late at night for a snack, I still remember what one counsellor said about this nervous habit. Before eventually ‘seeing someone’, I took refuge in daily journals in which I had been scribbling since the early 1970s. (Executors have been instructed to build a Charles Dicken-style bonfire with these diaries). Interesting now to find references to a ‘periodic head-check’ which was my way of dealing with psychological problems – to have an imagined conversation between your addled self and an older, wiser, sober self. The following is for entertainment purposes only; it may be a figment of the writer’s fertile imagination and should not be construed as advice, medical or otherwise. Dr Zeitgeist: It’s been a while. Dr Z (consults file): Hah! You quoted Eeyore last time you were here. Is he a permanent fixture in your life then? Dr Z: (aside) Did you know Disney has trademarked the names Pooh and Eeyore? BW: But, but, – they belong to our childhood! Dr Z: Anyway, I digress. What brings you here today, apart from the turned down mouth and slack-shouldered look of the long-term depressive? BW: I take pills for that – this is more of an existential angst. Dr Z: (steeples hands under chin) How so? BW: Well I hear the ADF has carried out 9 ‘strike missions’ in Syria, adding to the general mayhem over there and at the same time we’re agreeing to accept only 12,000 of the 9 million Syrian refugees. I feel bad about that. Dr Z: This is sublimation on your part – you are finding other reasons for your feelings of despair instead of confronting the root cause. BW: Do you seriously think I’m going to get into this with several thousand readers looking on? Dr Z: If you don’t use it, you lose it – very important at our age to remember that. Now, what’s really troubling you? BW: I lie awake in the early hours of the morning, turning things over and over, like flipping pancakes. Dr Z: So you ruminate? BW: All writers ruminate. It’s how we write. And I don’t want to burn the pancakes. Dr Z: But you’re not happy about it? BW: I’d rather be asleep. Dr Z: When you do sleep, do you dream? Dr Z: Tell me about one of these dreams. BW: I have this recurring dream where I’m back at work and nothing is working out and I’m sort of aware, even though I’m asleep, that this is absurd because (a) it’s the last place in the world I want to be and (b) I was actually very good at the work. Dr Z: (claps hands lightly and exclaims Mein Gott! ): Classic! So this was the last time in your life you had great responsibility and success? Dr Z: You need to look at your life now and you may find an area of great responsibility where you are not having much success. BW: I have this other dream where I’m driving too fast and my feet won’t reach the pedals or the brakes don’t work. Dr Z: Do you go off a cliff into the ocean – dashed to pieces on the rocks? BW: I thought maybe I’m trying to do too much for no good reason and need to scale down and take control of my life again. Dr Z: Ah, like that line in your song where the swaggie staggering around in the desert has only one book, ‘The Theory of Control’. BW: Sent you a copy, did I? Dr Z: How’s the album going anyway? BW: I think it’s what they’d call ‘a critical and artistic success’. Dr Z: Have you seen the documentary, Searching for Sugar Man, about the singer-songwriter Rodriguez? BW: He flopped in the US but was bigger than Elvis in South Africa, though everyone there thought he was dead. Meanwhile, he’s living in the USA and he didn’t know about any of it. Dr Z: And then he was found and made famous again in South Africa, after giving up his dreams of a musical career and spending his life as a construction worker in Detroit. BW: And we’re talking about this why? Dr Z: I thought the analogy wouldn’t be lost on you, or your readers. BW: Well, good to catch up, Dr Z. It still looks like rain. anxiety, depression, panic attacks, psychologists. Bookmark. 1. I’ve started a new page on Fb, called *Canaries in the Mental Health Mine*, basically a clearing house for mh related links & articles & survivir commentary; you may like to check out, & upload FOMM to when its MH related.